Dr. Liz: Let Summer Begin! Get grilling with this week’s coupons! Save $1 on Kingsford Charcoal, 16.6 lb. 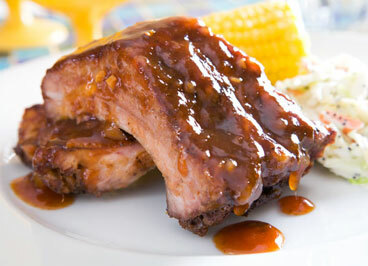 bag, and save another $1 on Sonoma BBQ Sauce, 18 oz. bottle. 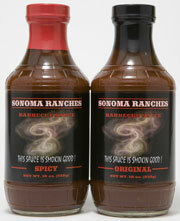 If you’re looking to try a new barbecue sauce for your grilled meats, look no further than Sonoma Ranches Barbecue Sauce. Handcrafted in small batches to ensure the utmost quality in every jar, these sauces are always made with farm-fresh ingredients. 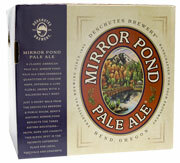 Established in 1988 in Bend OR, Deschutes brewery has been on the forefront of the microbrew revolution with their flagship brews Black Butte Porter and Mirror Pond Pale Ale, and their extensive seasonal line. Try them on sale this week for only $10.99, save $6.70. Prices valid 5/26/2010 - 6/1/2010. Planning to light up the grill this long weekend? 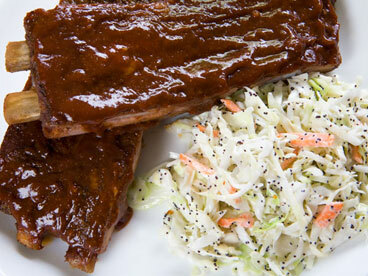 If you enjoy barbecuing, stop by our meat department — we have a rib fest going on! Choose from seven varieties: beef ribs, beef short ribs, pork spareribs, pork baby back ribs, marinated pork riblets, pork shoulder country style ribs, and lamb Denver ribs. Memorial Day marks the “official” kickoff to summertime cooking – outdoor gatherings, backyard barbecues and picnics in the park. A favorite time for family, friends and great food, make this Memorial Day a healthy and fun food experience. Best bets for the BBQ: Use flavorful marinades of fresh herbs, pomegranate juice and olive oil on lean cuts of beef and chicken for grilling. Serve lean turkey or beef burgers on whole grain rolls with all the fixings of sliced tomatoes, lettuce greens, onions and pickles. Veggie kabobs of onions and red, yellow and green peppers alternated with chicken, pork, beef or tofu make colorful favorites. Simple and healthy side dishes: Bring on the chilled salads of mixed greens and peppers, tomatoes, carrots and snap peas dressed lightly with champagne vinegar and olive oil. Use low-fat mayonnaise or dressing in coleslaw, potato salad or three-bean and corn side dishes. Sweets for all: Keep desserts simple and healthy by serving fruit salad with seasonal favorites – strawberries, watermelon, cherries and nectarines. Top with frozen low-fat yogurt and a shaving of dark chocolate.